Mercer Savings Bank employee Sheri Brunswick selected St. Henry EMS to receive a $200 donation as part of the bank’s Mission of Giving. 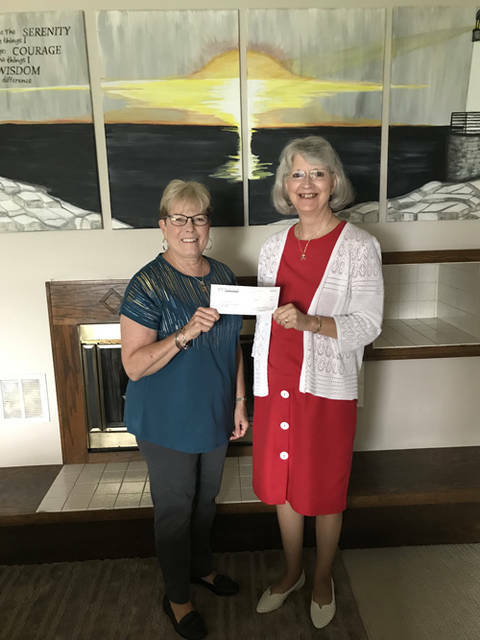 Mercer Savings Bank employee Ruth Hoenie selected Mercer County House of Hope to receive a $200 donation as part of the bank’s Mission of Giving. 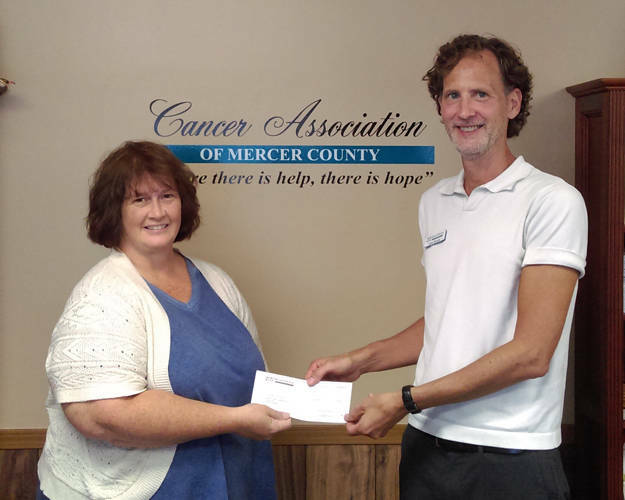 Mercer Savings Bank employee Sam Bader selected Cancer Association of Mercer County to receive a $200 donation as part of the bank’s Mission of Giving. CELINA – Through Mercer Savings Bank’s giving mission, each month three employees will be selected to choose a charitable organization to receive a $200 donation. Employees are requested to choose organizations that exemplify the values of the bank as a whole. St. Henry EMS was Sheri Brunswick’s selection. The Cancer Association of Mercer County was Sam Bader’s selection. “I chose The Cancer Association of Mercer County because cancer is a disease that impacts all families, and I’m glad there is a local association that offers physical, emotional and financial support for cancer patients,” Bader said. Mercer County House of Hope was Ruth Hoenie’s selection.